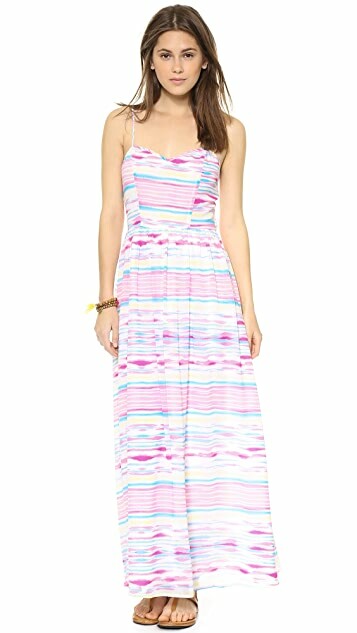 Soft watercolor stripes detail a shoulder-bearing BB Dakota maxi dress. Buttons close over a back cutout, and pintucks add gentle volume. Lined skirt. Adjustable straps.